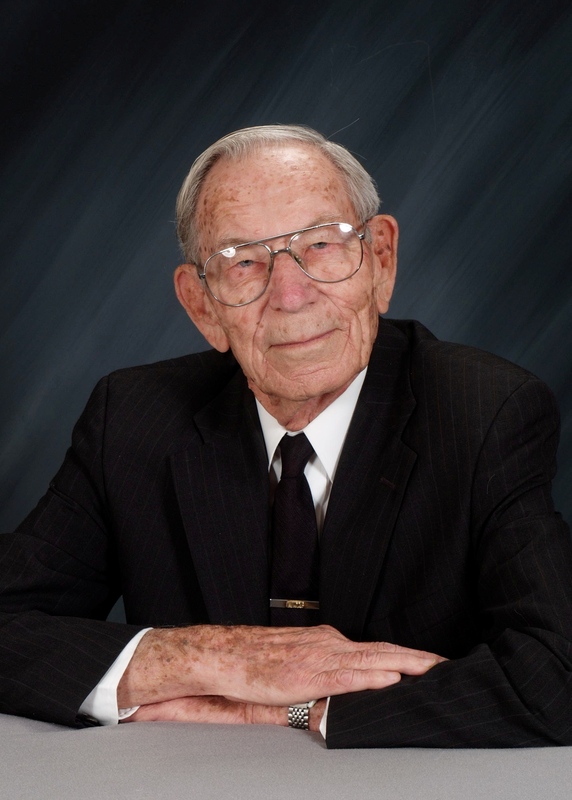 Send Photo of Wallace Dewey Sabin, Jr.
Wally Sabin, 91 of Mesa, AZ, passed away peacefully on August 1, 2017, at his home. He was born October 6, 1925, in Phoenix, AZ. He is survived by Ora Amanda, his wife of 72 years, sister Geraldine Bowden, sons Eugene Sabin and Roger Sabin, daughters Donna Stauffer and Julie Jarvis. His sons Rex and Edwin preceded him in death. Wally has 20 grandchildren and 13 great-grandchildren. He served honorably in the United States Navy during World War II. Upon discharge, he was an Electronic Technician’s Mate Second Class. He attended Utah State Agricultural College, earning his Bachelor of Science in radio and electronics. Wally worked for Motorola, Inc. for 38 years, retiring in 1988. Wally and Ora served an LDS mission in Davenport, Iowa, in the Family History Center 1993-1994. They served in the Mesa Arizona Temple for many years. Wally enjoyed square dancing with Ora and was a proficient Caller. During his retirement, Wally and Ora traveled throughout the United States. Visitation will be Friday, August 11, 2017 from 6-8 pm at Bunker’s Garden Chapel, 33 N Centennial Way, Mesa, AZ. Funeral services will be Saturday, August 12, 2017 at 10 am, preceded by a visitation at 9 am, at the LDS Cornerstone Ward, 422 E University Dr. Mesa, AZ.